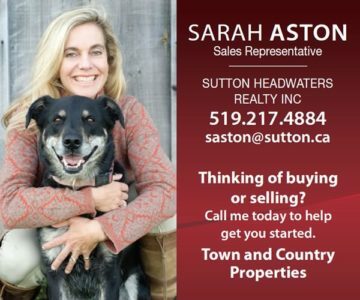 You’re strolling along Broadway in downtown Orangeville on a pleasant Saturday afternoon as spring nuzzles up to summer. The sun is shining, trees are budding, birds are chirping, and someone in a doorway just ahead is speaking loudly. Poet on parade: Valerie Senyk. Photo by Pete Paterson. This is the free verse of Valerie Senyk. Undeterred by the competing rasp of passing motorcycles, she delivers her poem “The Fool” with animation and broad gestures. You stop and join the listeners, swelling their number to nine. 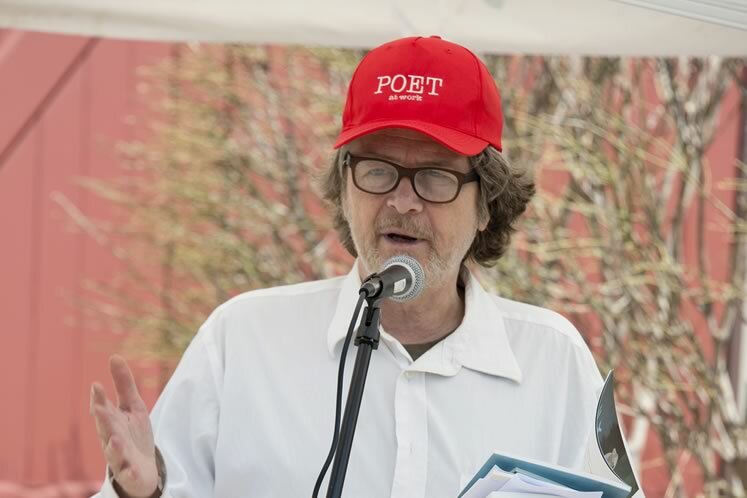 Senyk is one of 20 red-capped poets who participated last May in Orangeville’s inaugural Day of the Poets. Poet on parade: Harry Posner. Photo by Pete Paterson. 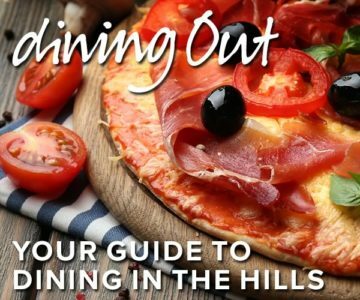 The town already has its hugely successful Blues and Jazz Festival and the growing Taste of Orangeville food event. 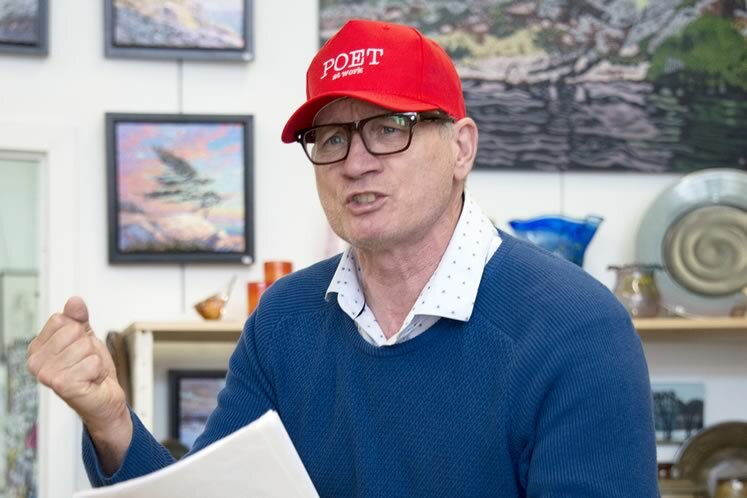 With sponsorship from the Dufferin Arts Council, the Canada Council for the Arts, the town and its BIA, Day of the Poets aspires to become a popular annual addition to the local cultural landscape. Saturation on this sunny Saturday begins in the cobbled town square (round, actually) in front the town hall. You and your neighbours, bags of market bread, produce and couldn’t-say-no-to treats in hand, are drawn by the bell and the booming invitation of frock-coated, leather-lunged town crier Andrew Welch. This day, he calls in rhyme. Posner, author of six books of poetry and fiction, as well as several spoken-word recordings, kicks off the festivities by reading his poem “I Want” – wit and wisdom on the effects he wants from poetry. You’re intrigued. Singer-songwriter Robert Priest – hey, you’ve heard of him – follows, singing the poetry of “Bonne Chance, Marie,” “My Emptiness” and “The Bomb in Reverse” with musical accompaniment. 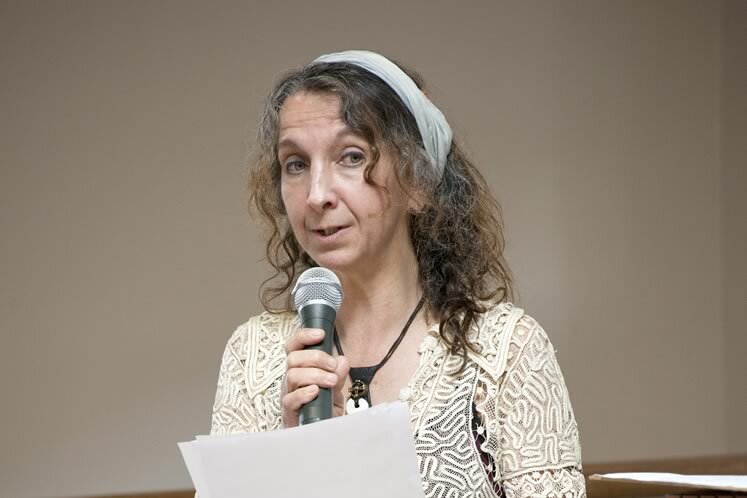 Poet on parade: Morvern McNie. Photo by Pete Paterson. Later, around the corner at the Orangeville library on Mill Street, there are spoken words, but no shushing librarian. 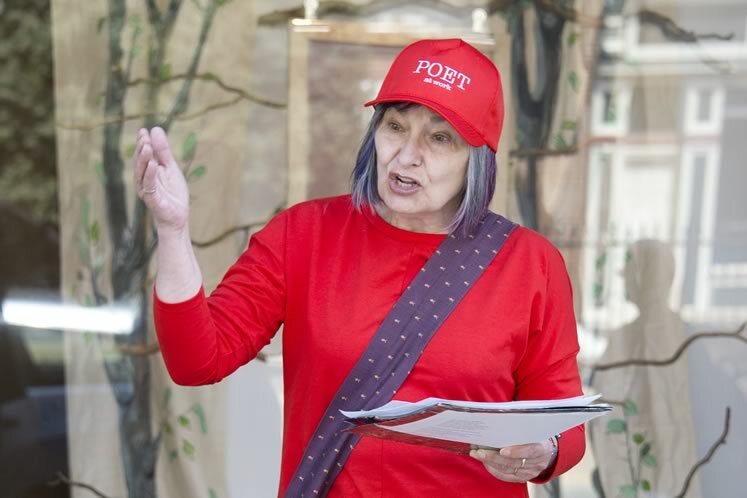 An audience of a couple of dozen settles in by the fireplace where a poet with a poetic name – Morvern McNie – has traded her red POET cap for a bandana. Still and soft-spoken, she recites “Designed to Forget” [see page 63]and “Resting Above My Page” – the latter a prose poem reflecting on the complex bond between sisters. You find it moving, perhaps even more so than if you had encountered it on a page. What do poets look like? You are learning. They look like Morvern McNie. They look like you or me. They look like Manar Mushi, who steps up to the microphone (the library event is billed as “open mic”) in camouflage jacket and hijab. 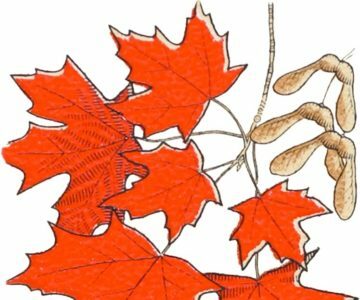 She’s nervous, yet moved to share a selection of two-line poems by Canadian poet Rupi Kaur, whose book Mushi has just selected from the library shelves. Poet on parade: Rob O’Flanagan. Photo by Pete Paterson. And they look like Rob O’Flanagan. On the other side of Broadway, a poet’s stool is set up at Dragonfly Arts on Broadway. It goes unused by O’Flanagan as he paces the creaking floorboards – passionate, pleading, projecting. His is restless and robust poetry. Forty-nine paintings, a metal moose, and about a dozen souls look on as O’Flanagan, shirttail flapping, fills the colourful front gallery with words and energy during his 15-minute set. a bit more all the time. You’ve never been one for poetry, but this poetry, not read but experienced, was absorbing. These poems were different from those you recall from rare encounters in the odd magazine or dimly remembered school textbooks. You have now seen poets breathe, gesticulate, stumble, feel. The experience had context. It had passion. It had personality beyond the page. It might just send you back to the page. Poet on parade: Robert Priest. Photo by Pete Paterson. Building on last year’s experience, this year’s festival will be structured a little differently. “More contained and more eclectic,” says organizer Harry Posner. 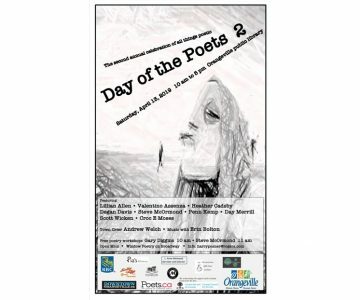 Poets will perform every half hour from noon to 5 p.m. at the Orangeville library on Mill Street. 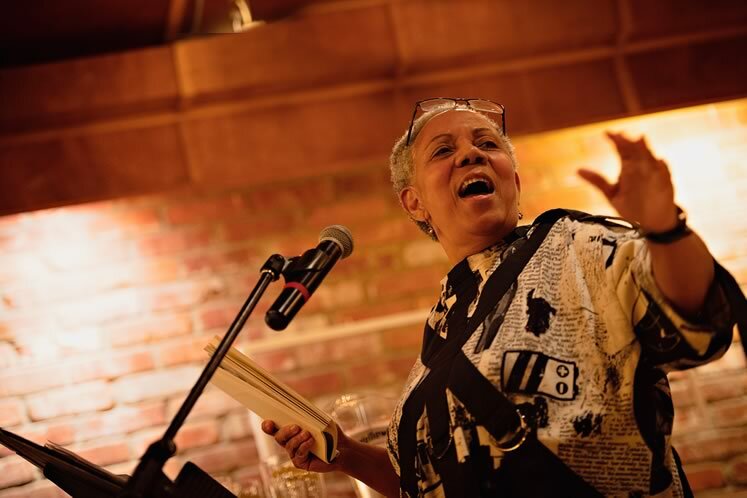 The day will be headlined by renowned dub poet Lillian Allen. The recipient of two Juno Awards for her reggae spoken-word recordings, Allen is an activist for cultural diversity and a creative writing professor at OCAD University. Other poets on the program include Day Merrill, poet laureate of Collingwood; sound poet Penn Kemp, former poet laureate of London, Ontario; and back again this year, croc E moses, whose musical poems reflect his long residency in southern Africa. The day begins with free public poetry workshops at the library. At 10 a.m., Gary Diggins leads a session on creating improvised soundscapes to complement recited poetry. At 11 a.m., Steve McOrmond discusses found poems, words and phrases borrowed from other texts and arranged to surface new contexts and meanings. All of it, a designer’s plan. The one from that party. finding ways to meet again. would warn nights of pressing engagements. the blind to when will he leave. I moved on with a ruthless vigour. living in an uncluttered, non reflective space. 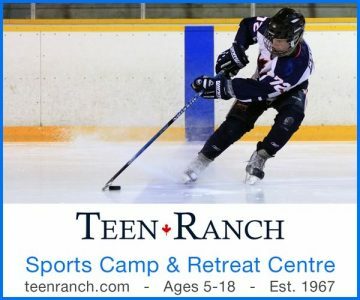 There is nothing here to trigger memories of you. No furniture or personal items. Everything here is meaningless colour-coordination. how my burnt orange place mats complement the blue glass vase. it’s like not coming home. I now claim perpetual visitor status. Can I use the fridge? Should I cook? I talk to the neighbour’s dog through the fence. 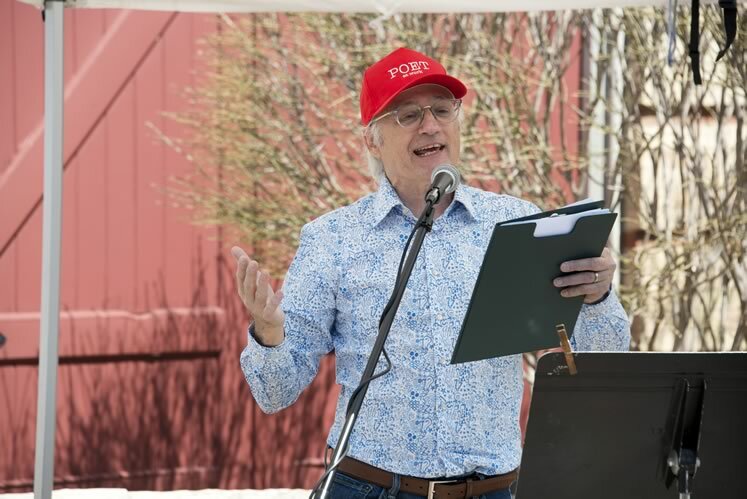 Orangeville’s second annual Day of the Poets festival on April 13, 2019. Dufferin County’s first poet laureate waxes eloquent on reclaiming the power of words and uniting our local arts community.